Please share this video with 3 people you know that may be experiencing some type of muscle aches or joint pains. Our goal is to get as many shares as possible in hopes that we might prevent someone, anyone, from becoming addicted to opioids. Read more about drug overdose problems from this article in the NY Times. IN 2016, ENOUGH PAINKILLERS WERE PRESCRIBED TO MEDICATE EVERY AMERICAN ADULT WITH 30 MG OF HYDROCODONE EVERY DAY FOR ALMOST A MONTH. Get more facts from here. 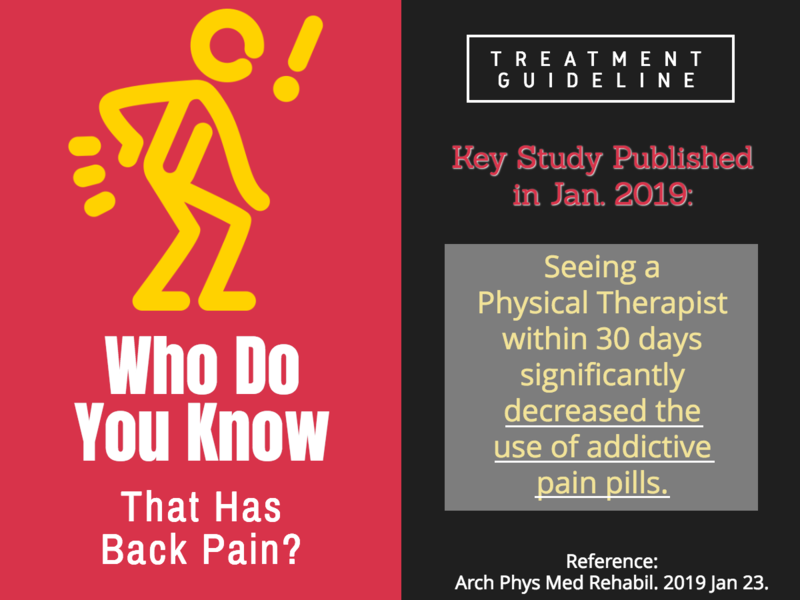 Scientists Recently Discovered that Seeing a Physical Therapist first can decrease the use of addictive pain pills. Click here for the reference. 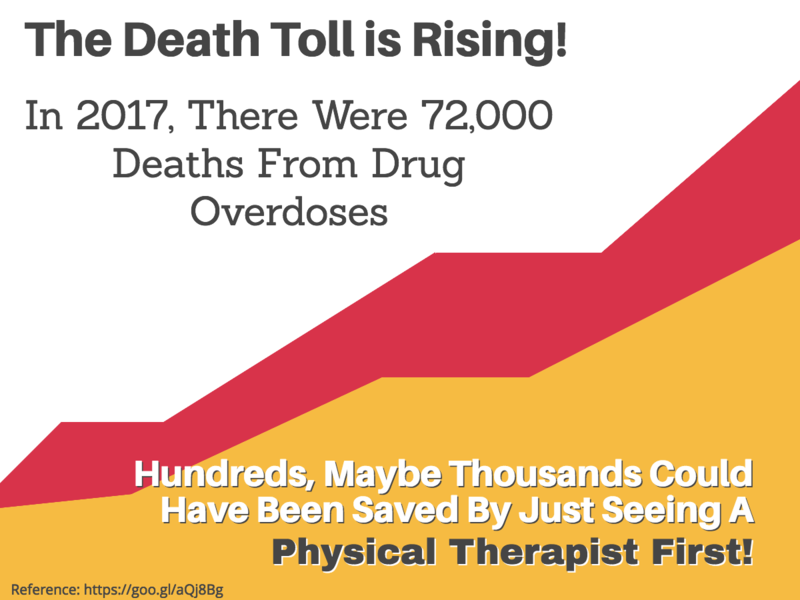 Another reference about early physical therapy and decreased opioid use. Click here. Standing bilateral external rotation with a resistance band. Stand with elbows bent to 90 degrees, band in each hand as shown in the video. Rotate hands away against resistance of band while keeping the elbows at your sides.